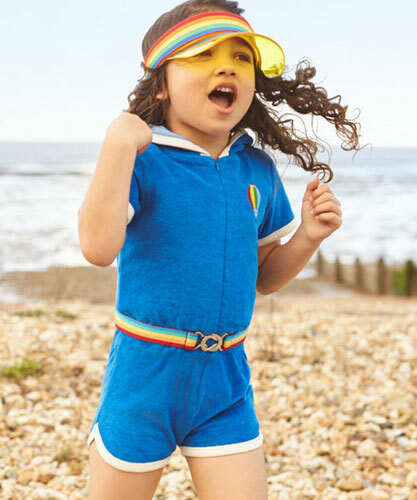 A useful item, but this Little Bird By Jools Rainbow Sun Visor is also a throwback to the style of a past era. 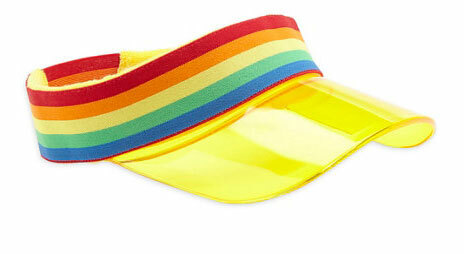 Yes, the 1980s headband look is well and truly at work here in rainbow colours, matched up with the yellow visor to keep the sun out of his or her eyes. So good for keeping the sun out of their eyes, but also great for getting attention too. Cheap enough at £6, which is a nice bonus.